I have been playing around with this idea for a little while, and it is probably still a bit rough around the edges, but I decided to throw it out there. The NBA is obviously a star-driven league. Players like LeBron James, Kevin Durant, Kobe Bryant and Derrick Rose are intensely marketed athletes and All-Star Game fixtures who anchor the offense, sell tickets, grace magazine covers, and haul in awards. Most teams have at least one star. Some have two, two-and-a-half, or even three. 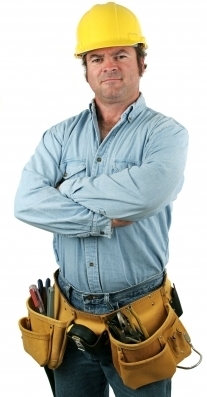 Every team has blue-collar players who do the dirty work, though, and to give these NBA worker ants some well-deserved recognition, I came up with the "Blue Collar" concept. 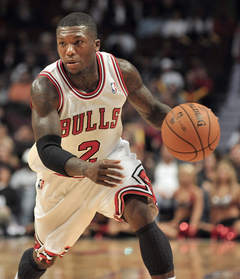 Krypto Nate Robinson was picked off the scrap heap by Chicago, where his trademark energy and sparkplug scoring greatly helped the Rose-less Bulls. He played all 82 games (26 starts), averaging 13.1 PPG and 4.4 APG in 25:23 MPG. Occasional dunk aside, Tony Allen is not a flashy scorer. He is, however, a strong and savvy perimeter defender, and a big part of Memphis' league-best 89.3 PPGA. 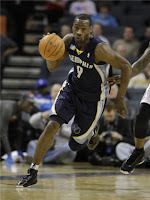 He played 79 games for the Grizzlies (all starts), averaging 8.9 PPG, 4.6 RPG and 1.5 SPG in 26:41 MPG. 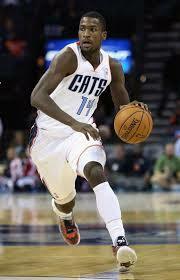 Yes, Michael Kidd-Gilchrist was a rookie on a pretty bad Bobcats team, but the versatile No. 2 pick did everything he could with the sparse minutes he got. His game still needs some polishing, but his motor was always running, and he averaged 9.0 PPG, 5.8 RPG and 1.6 SBPG in 78 games. 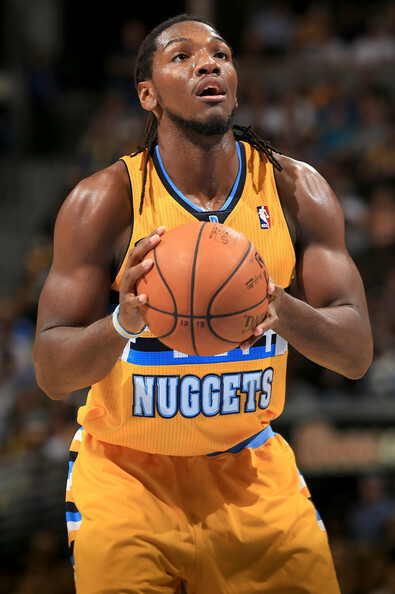 Tireless and hard-working BBVA Rising Stars MVP Kenneth Faried was a big part of Denver's success this season. The Nuggets forward, adequately nicknamed The Manimal, played 80 games (all starts), averaging 11.5 PPG, 9.2 RPG and 2.0 SBPG in 28:06 MPG. 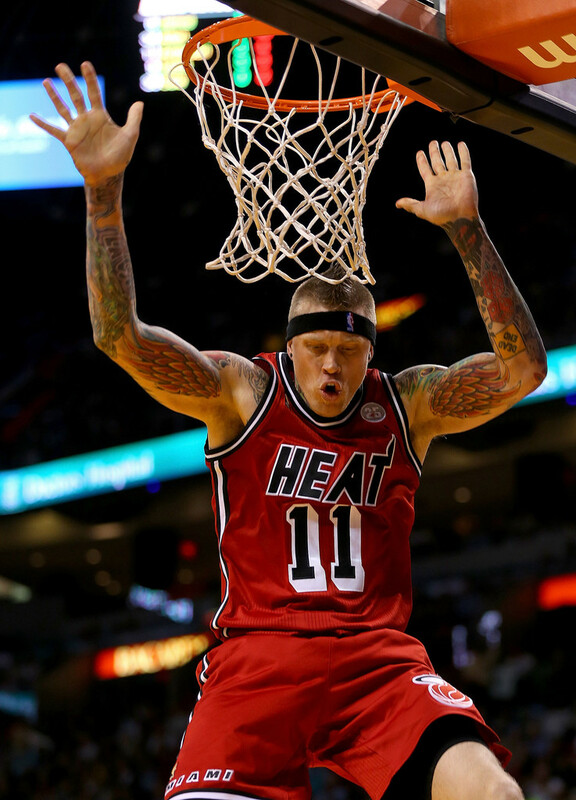 When the size-challenged Heat signed free agent center slash human canvas Chris Andersen in January, he instantly became an X-factor for Miami. The Birdman is Miami's first big man off the bench, and even though his PT is limited (14:52 MPG), he dunks on people (4.9 PPG), rebounds (4.1 RPG) and blocks shots (1.0 BPG) like there is no tomorrow.